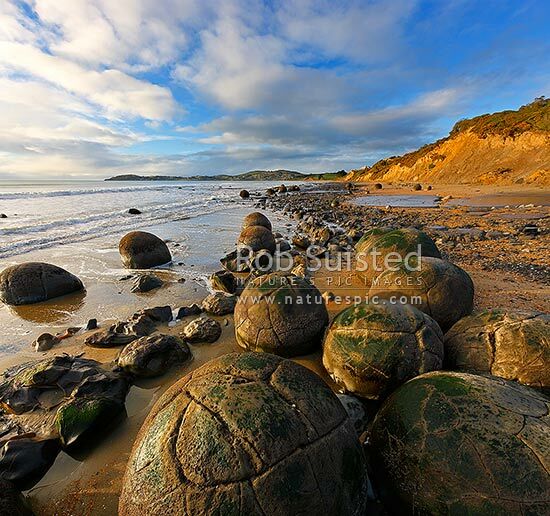 Moeraki Boulders / Kaihinaki on Koekohe Beach. 60 Million year old mudstone concretions. Moeraki Township beyond, Moeraki, Waitaki District, Otago Region, New Zealand (NZ), stock photo.